The Gobekli Tepe dig site. May 13, 2012. “Gobekli changes everything,” says Ian Hodder, an anthropologist at Stanford University. It’s not an exaggeration. When Gobekli Tepe was uncovered in 1994, it changed everything we thought we knew about human history. Gobekli Tepe is a massive, ancient temple found in Turkey, built out of pillars organized into great stone rings. The pillars are decorated with intricate sculptures of lions, scorpions, and vultures, twisting around their sides, but they’re more than just beautiful works of art. They’re the foundations to a structure, holding up heaving blocks that, some of which weight more than 10 tons. The artwork and the engineering is incredible. That anyone could have lifted up 10-ton stones and placed them atop a foundation strong enough to hold them in place is an incredible feat in any time. 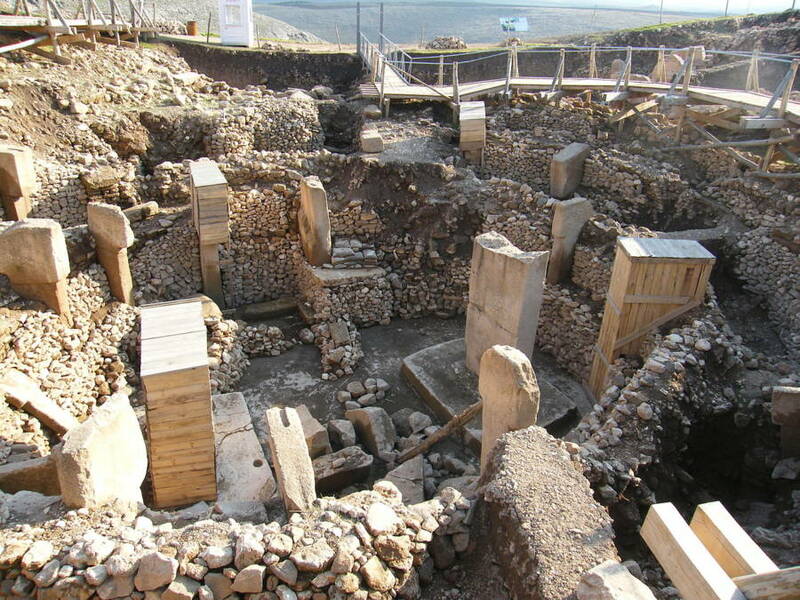 But what makes Gobekli Tepe so unbelievable is that it was built in 10th century BC – more than 11,500 years ago. Just How Long Ago Was 9,500 BC? 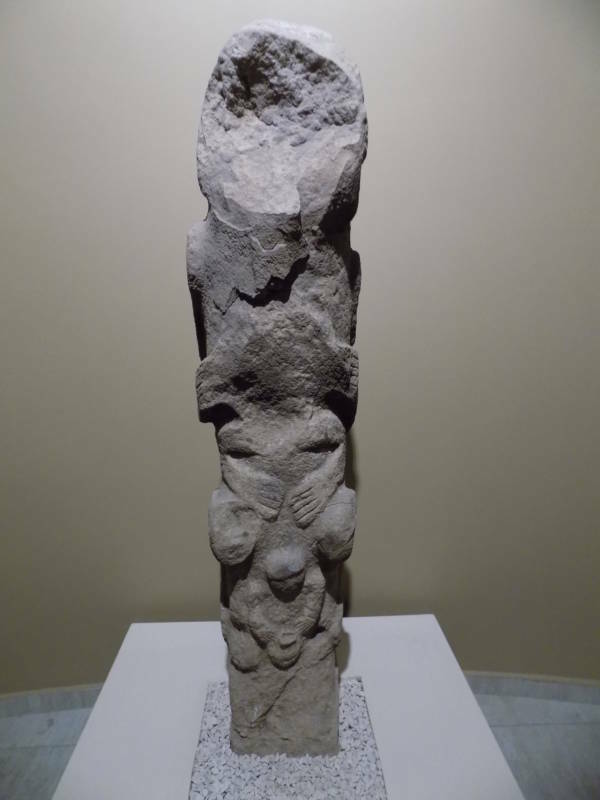 An intricately sculpted totem pole from Gobekli Tepe. March 11, 2017. Let’s put that in perspective. Stonehenge was built in 3000 BC, and the oldest signs of human writing were created in Sumer in 3,300 BC. That means that Gobekli Tepe isn’t just older than written language. 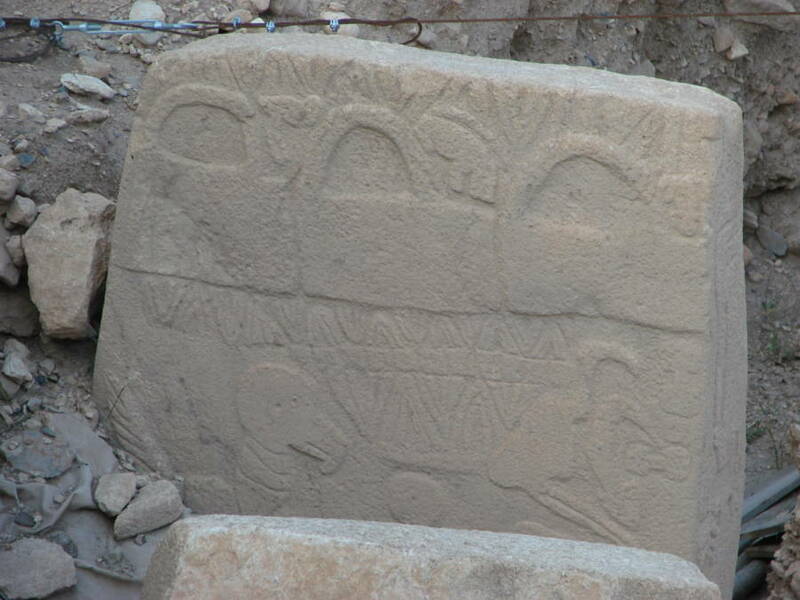 More time passed from the construction of Gobekli Tepe to the invention of the written word than from Sumer to today. Even agriculture didn’t exist yet – or, at least, certainly not in that area. There are, admittedly, some small signs of people growing crops before 9,500 BC, but it’s doubtful that there were any full-fledged communities with farms. The people who built Gobekli Tepe were what we’d call cavemen. They were hunters and gatherers working with tools made out of stone. And they managed to build something that should have been impossible. The Gobekli Tepe Archaeological site. March 9, 2012. The archaeologists who first found Gobekli Tepe in the 1960s didn’t think it was anything more than a medieval graveyard. They had found a hill with broken slabs of limestone and didn’t bother looking further, sure there’d be nothing more than a few bones laid to rest a couple of centuries before. He decided to stay, and he’s been working on the site ever since. It was worth it. Radiocarbon dating has confirmed that this temple really was built 11,500 years ago, making it easily one of the most significant archaeological discoveries in recent history. 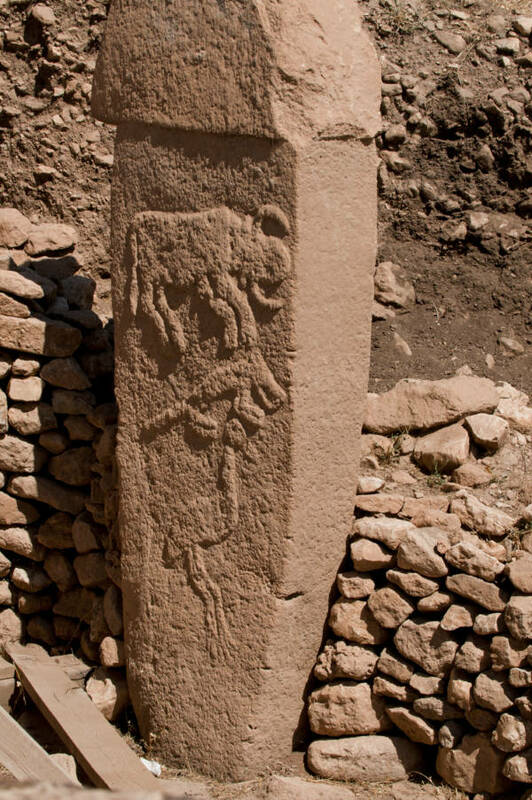 A close-up view of one of Gobekli Tepe’s pillars. September 6, 2011. 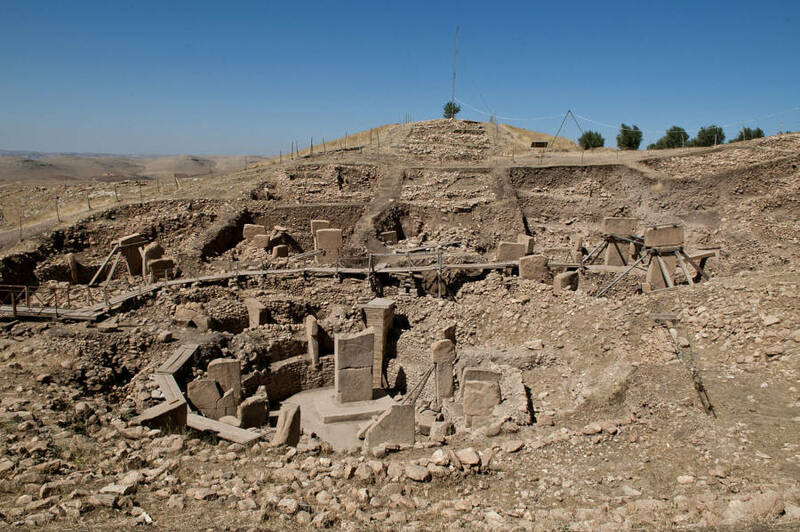 It’s hard to say anything for sure about how a place as old as Gobekli Tepe was used. Schmidt is convinced, though, that it was built as a temple. There are no cooking hearths, houses, trash pits, or farms to suggest that anyone ever settled down and started a town around it. Instead, it seems that the people who used it were constantly on the move. They were nomadic hunters who couldn’t stay in one place for long. They would have massive feasts inside. That’s something we know for sure because they left countless animal bones behind. The animals they ate, though, were all wild animals like gazelle, deer, birds, and aurochs. They were animals that were hunted and carried off to the site for a meeting that must have held a deep, spiritual significance. There’s a good chance they got drunk during these meetings, too. Massive, stone jars were left behind at the temple site, big enough to hold more than 40 gallons of liquid. There’s no way to know for sure but the archaeologists suspect that liquid was an early type of beer. A close-up of one of the pillars, depicting what’s believed to be an image of an ancient god. June 12, 2011. People came from incredible distances to visit Gobekli Tepe. According to Schmidt, people from Israel and even as far as modern Egypt would have made the pilgrimage up to Gobekli Tepe – a trip that, if he’s right, would’ve required them to travel up to 1,500 kilometers. For anyone to travel that far, it would’ve had to have been the mandate of the gods. That’s part of the reason why the archaeological team is convinced that this was an ancient temple and that the carvings on the pillars are a glimpse into an ancient, Stone Age idea of the gods. 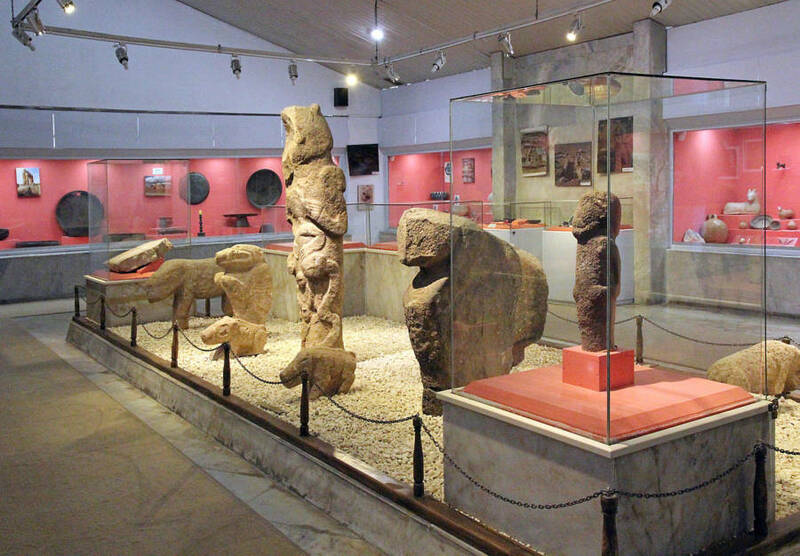 Sculptures from Gobekli Tepe on display in a museum in Urfa, Turkey. May 13, 2012. This is more than just an old temple. It’s a discovery that forces us to seriously rethink some of the biggest ideas about how human civilization began. Before, it was always assumed that civilization began with agriculture. People settled into farming communities first, we believed, and then worked together to build the massive temples and buildings that would make up humanity’s first cities. Gobekli Tepe, though, was built 500 years before its people built their first farms. That might mean that our whole concept of how human civilization began needs to be rethought. Here, at least, people seem to have congregated and worked together to build a temple before even making their first farms. Perhaps culture came before agriculture. That’s what some people think Gobekli Tempe represents. The force that gave birth to civilization wasn’t necessity or survival – it was something spiritual. "But what makes Gobekli Tepe so unbelievable is that it was built in 10th century BC – more than 11,500 years ago" -- 10th MILLENIUM BC, stupid. ""Gobekli Tepe is older than written language."" ""The people who built Gobekli Tepe were what we’d call cavemen.""